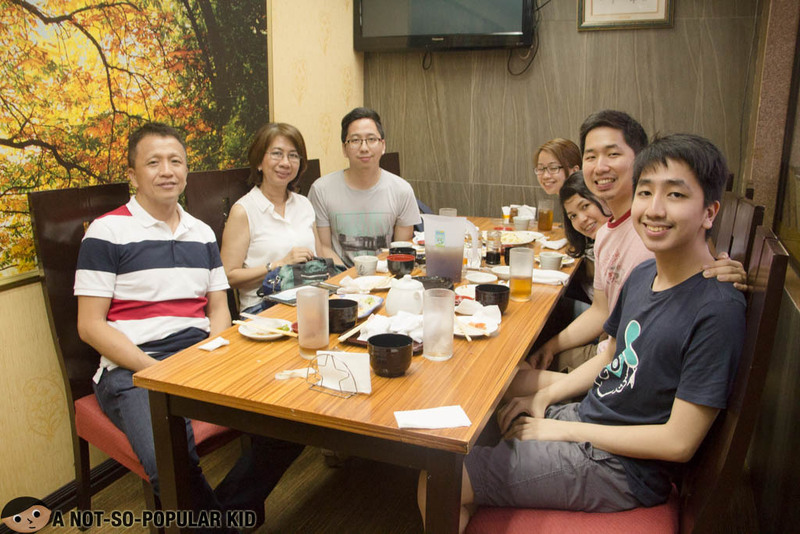 This is the 1st stop out of 4 restaurants/food places we visited for our first ever food trip in Makati and Fort. 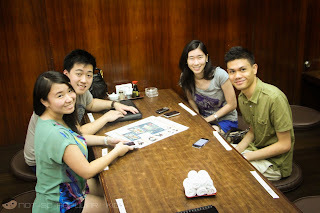 We decided to explore the somewhere-in-between [of north and south] food stops, so we planned to have another food trip. Just like what we usually do, we set up a challenge, and this time we agreed not to go beyond P750. We chose this threshold because we were expecting that the prices in Makati and Fort would be bloated than what's the average. Robie Reyes was the one who suggested the first restaurant, Nihonbashi Tei, which was intended to be the appetizer-food-stop! 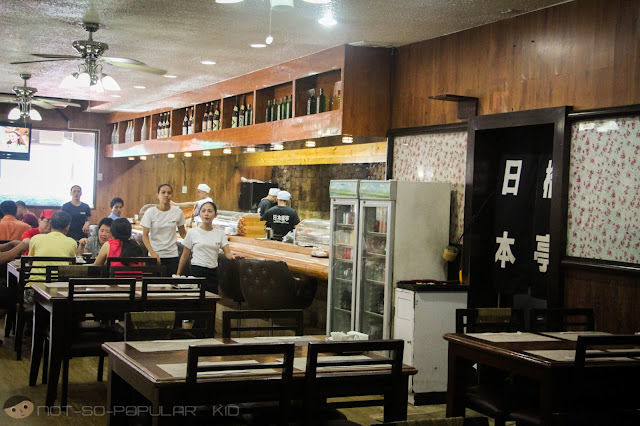 When I first entered the place, I didn't get awestruck, although I was able to feel the typical Japanese Restaurant ambiance. This was probably due to dim lighting of the place which sent of a dreary feeling for me. First, we decided to dine in the room shown above, despite it being a smoking area because we felt that no one else would use the room. Unfortunately, we were all wrong, and on top of that, they really lit a cig. Well, how naive of us to think no one will do that in a room specified for it. 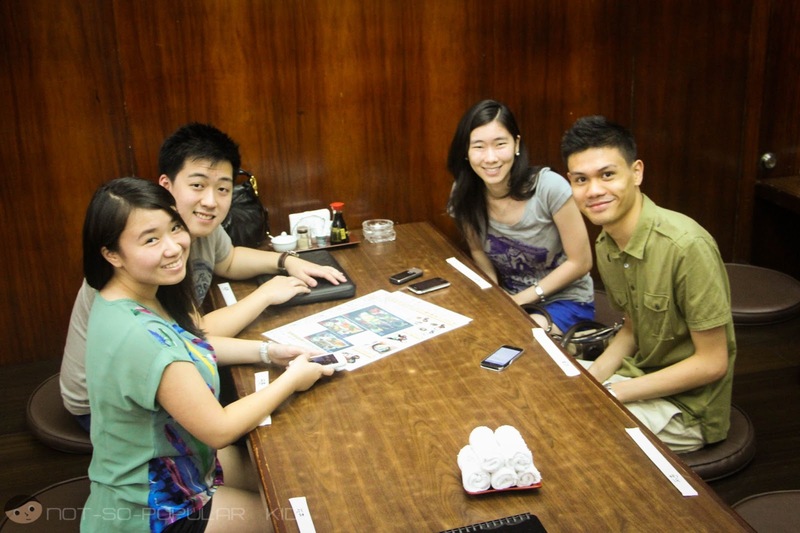 Due to all this, we ended up dining the typical way! 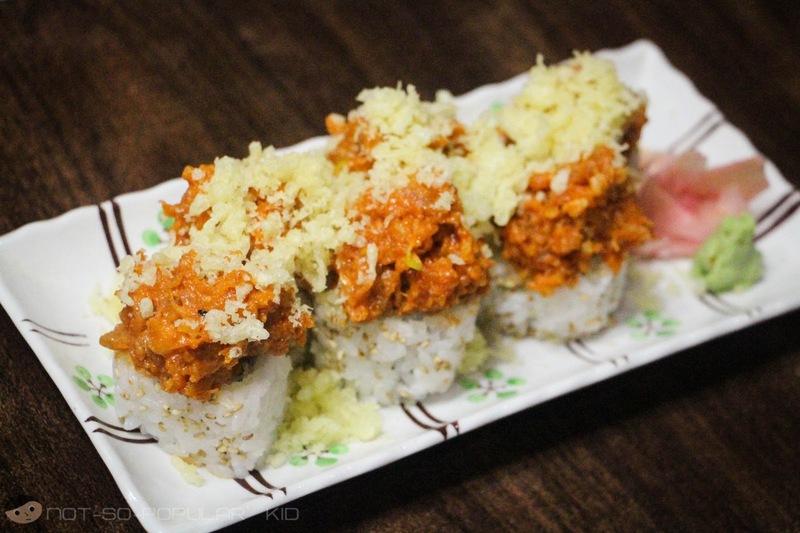 Officially starting the food trip, we first had this delectable and highly visually appealing Spicy Toro Maki (P200). Before delving into the taste, check out first the price! Considering the size of each of these maki, everybody agreed that this dish was reasonably priced. The taste was superb! 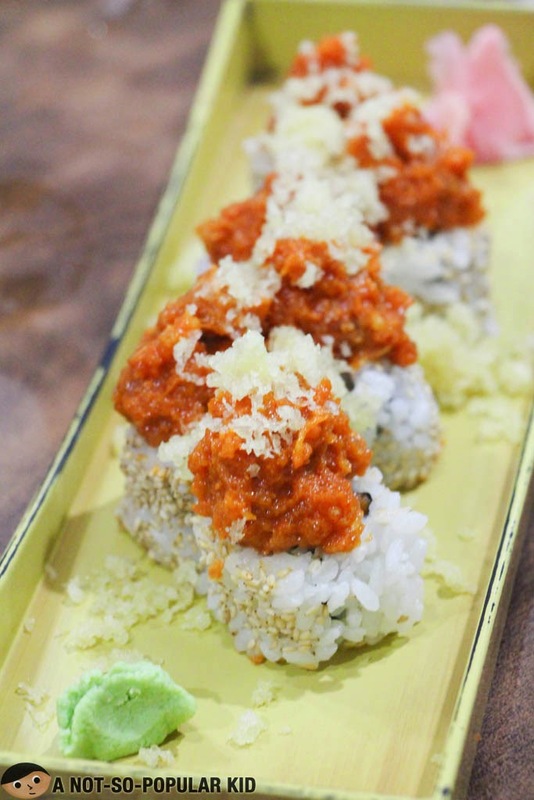 Although it has the word Spicy attached to its name, the Spicy Toro Maki offers a different kind of adventure because of the crunchiness, controlled level of spiciness and fresh tuna taste! 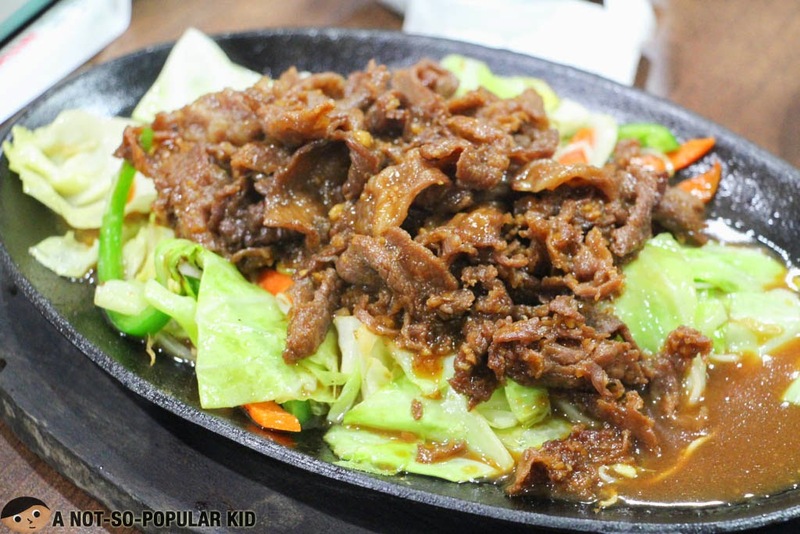 All these characteristics of the dish make it highly unforgettable! It was my first time to have a Spicy Toro Maki, and luckily I had a great one! 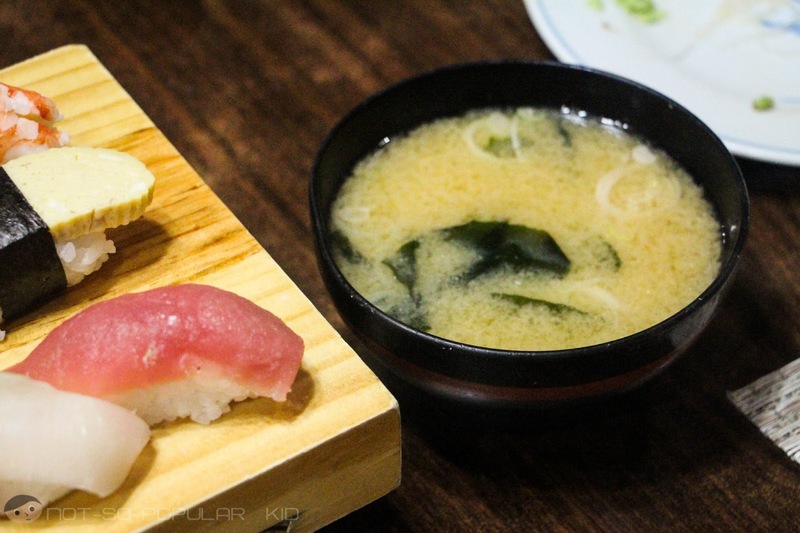 Frankly, I can't fully differentiate sashimis that restaurants serve, but somehow I can tell how the texture varies. 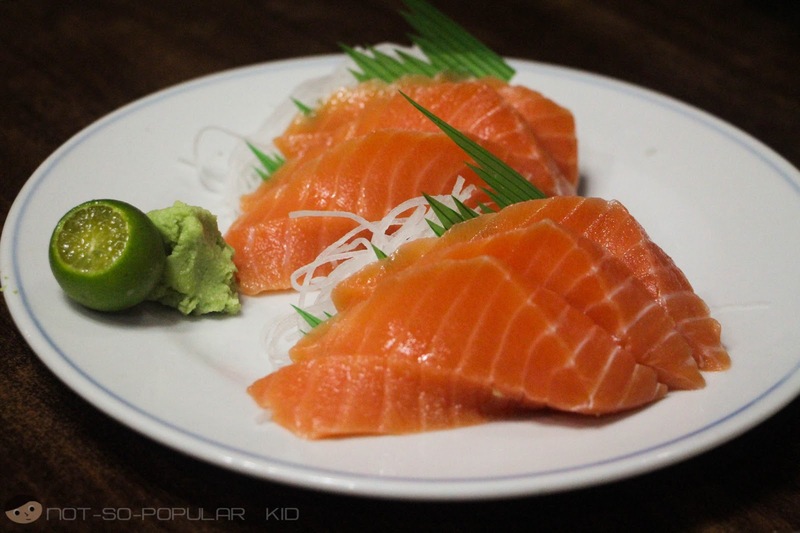 Take for example this Salmon Sashimi of Nihonbashi Tei. I can tell it was somehow fresh because of the fine taste; however, I am guessing that it may not be that super fresh because of the slight toughness of the texture. Regardless, I still was able to enjoy this one! 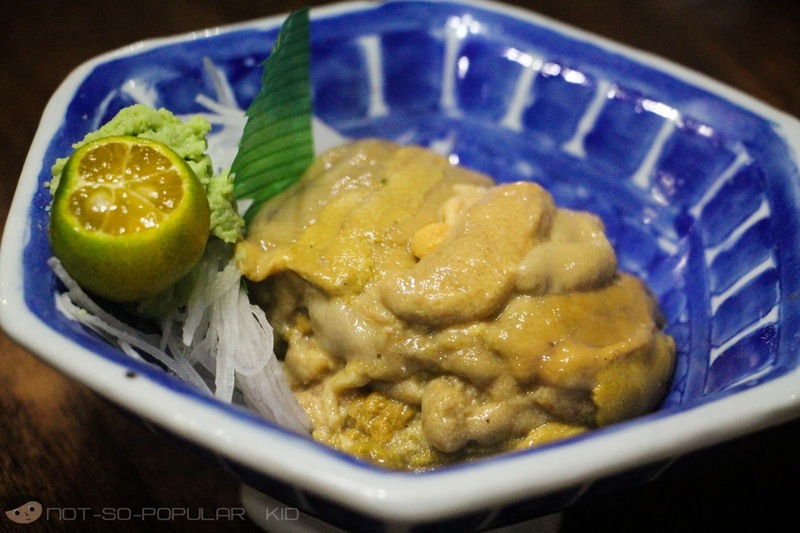 Okay, for the next one, we have the Uni Sashimi (P220)! This Uni Sashimi was a great bargain since it only costed us P220 which was considerably inexpensive as compared with other Japanese restaurants. I can't fully describe the taste, but all I know is that it was a little bit slimy with a rather fantastic taste - something that I've never had before. Friendly reminder: If you have a sensitive stomach, you may want to eat this after having something else first to avoid getting into any trouble. Last but not the least was the Nigirsushi Set at P280. Nigirisushi Set: Variety of Sushi! 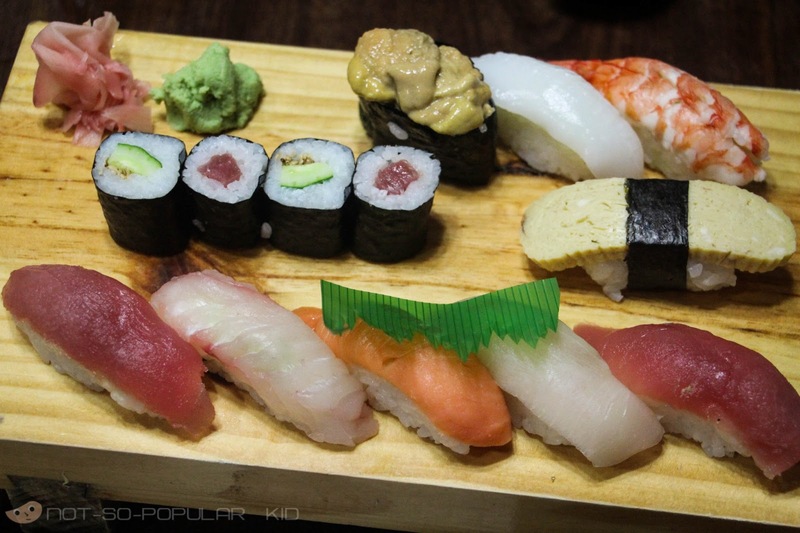 I have two phrases that I can associate with this Nigirisushi- interesting set and great variety! As expected, we were able to taste the freshness of the sushis. 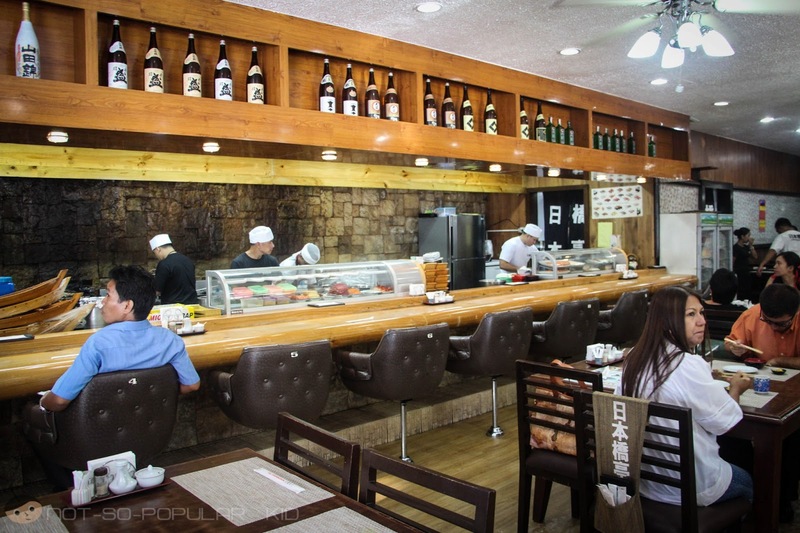 The taste was somehow similar to the sashimis we ordered except that these sushis obviously contained rice. 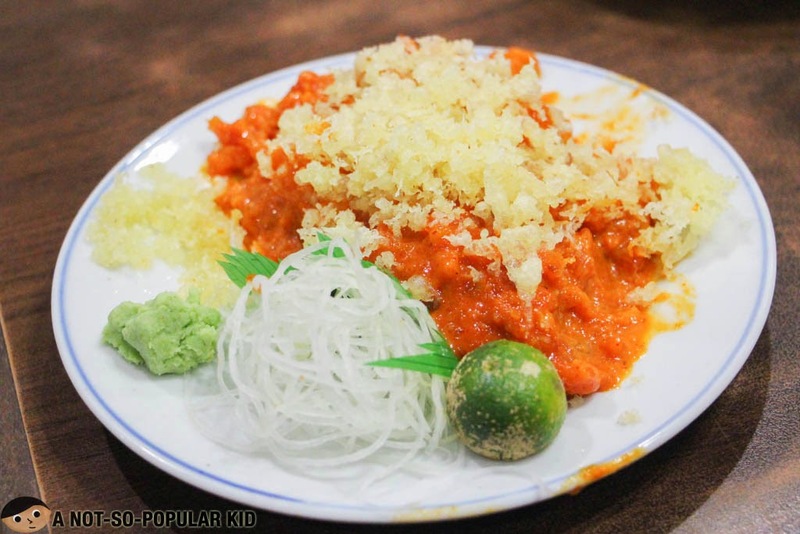 Anyway, if you will be choosing only one appetizer, I suggest this one because you'll already be able to enjoy different flavors that will really tickle your taste buds! Now, I just want to share with you a tip when ordering this dish. Nigirisushi can also be ordered a la carte at P350, but you may have it as a set for only P280 (which include the Nigirsushi and the miso soup). Note, however, that the set can only be ordered from 11:00pm to 5:00pm. Update 01/19/15 I can't believe how fast the time went all those years. I posted about this restaurant in 2013, and now it's already 2015. 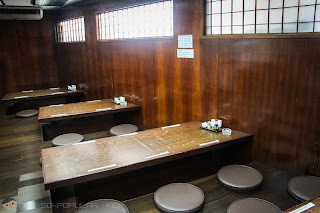 Hence, with this, I decided to give this post some updates considering that my colleagues and I frequently visit this place for some comforting dishes. Dubbed by my work mates as the most-favorite dish in Nihonbashi Tei, this Spicy Toro Sashimi is surely something you shouldn't miss! It has this flavorful hotness that blends well with the fresh seafood taste of either tuna or salmon. 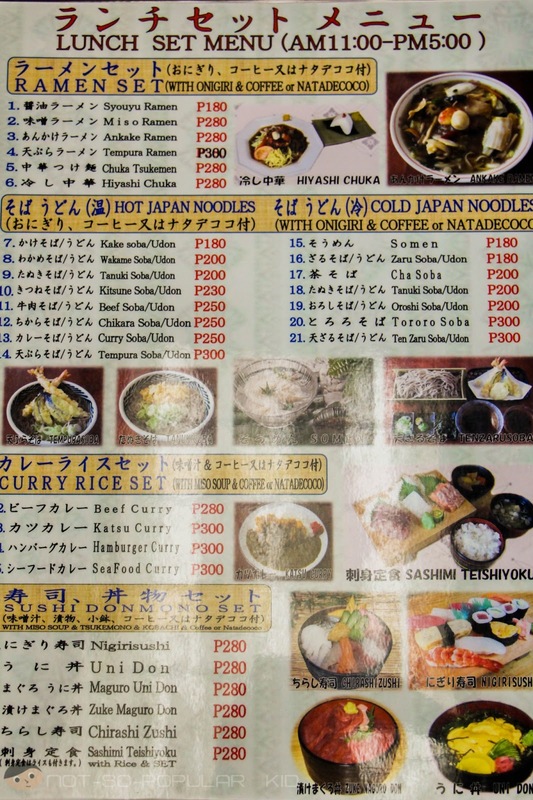 I included this dish again for this update to show how consistent Nihonbashi Tei is with this particular dish. Also, I really love how it was served this time. 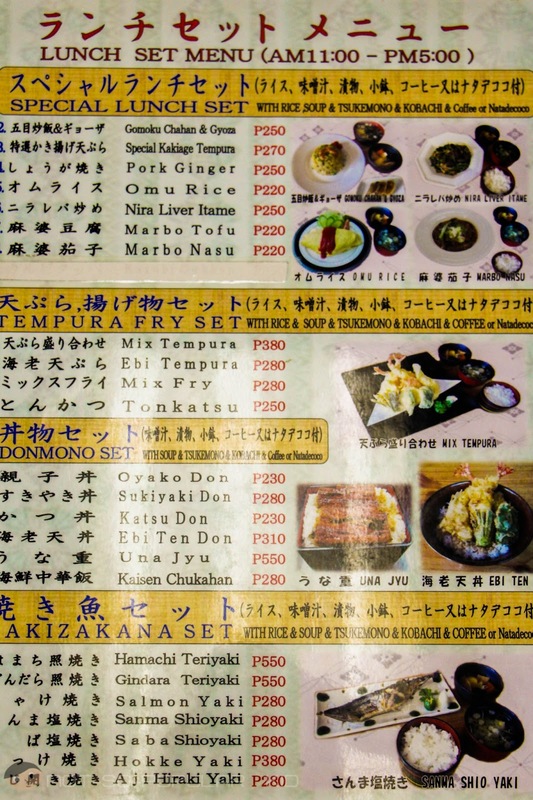 Although the Beef Teppanyaki does not convene with Japanese Teppanyaki (since the latter is normally cube-like rather than strip-like), it is already good (with its sweet and savory sauce) for the price! Also, the serving is generous, so you may want to share this with a friend. Nothing beats the joy derived from eating when you are with good friends sharing the same fired passion for food! 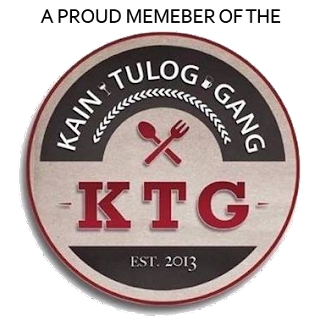 Overall, we had an amazing start, and we got very much fueled up to continue on with our food trip! 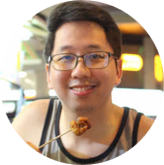 Having said this, I now wrap up the appetizer part of the food trip! 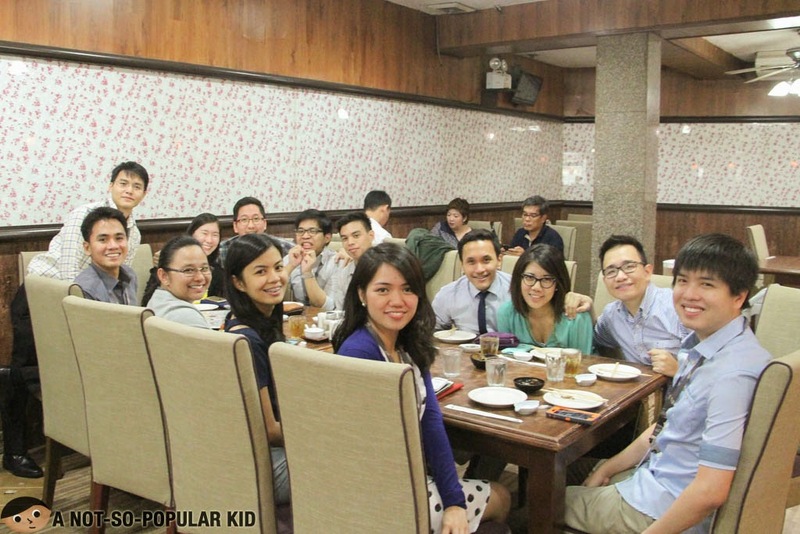 Don't forget to check out this blog for the 2nd Stop at the Relik Tapas Bar and Lounge! PS: Craving for uni now!